Learn about our orthodontic and Invisalign options. or need a root canal? We offer comfortable and precise treatment options. Our implant options can change your life! Welcome to Dr. Victor Oelbaum & Associates. We are thrilled to have you visit us here at our website. The purpose of this site is to introduce you to our dental practice in Bronx, NY, its people, and the many general, restorative, and cosmetic dentistry services we offer. Lead by experienced cosmetic dentist Dr. Victor Oelbaum, we take great pride in providing the best dental care available anywhere, and our staff goes to great lengths to make sure each patient is comfortable and pleased. We always welcome new patients and appreciate referrals from our patients. 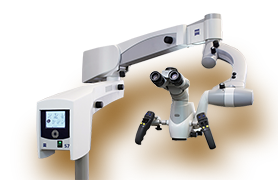 Using the state-of-the-art OPMI Pico Dental Microscope, Dr. Oelbaum can examine the inside and outside of your teeth in greater detail than ever before, ultimately enabling him to provide the most precise and effective treatment possible. 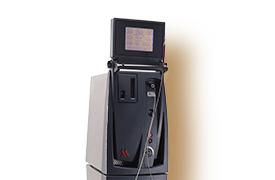 With LANAP laser technology, the treatment of gum disease no longer has to be so invasive. By utilizing laser energy to precisely target diseased tissues, harmful tartar and bacteria can be removed from the gums with little to no discomfort. 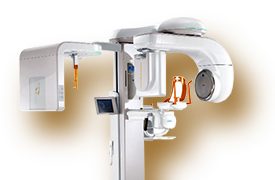 The Cone Beam X-Ray is a high-resolution imaging system that enables Dr. Oelbaum to capture 2D and 3D images of your teeth with unprecedented levels of precision and clarity, effectively leading to greater treatment customization. full set of x-rays (a $225 value)!